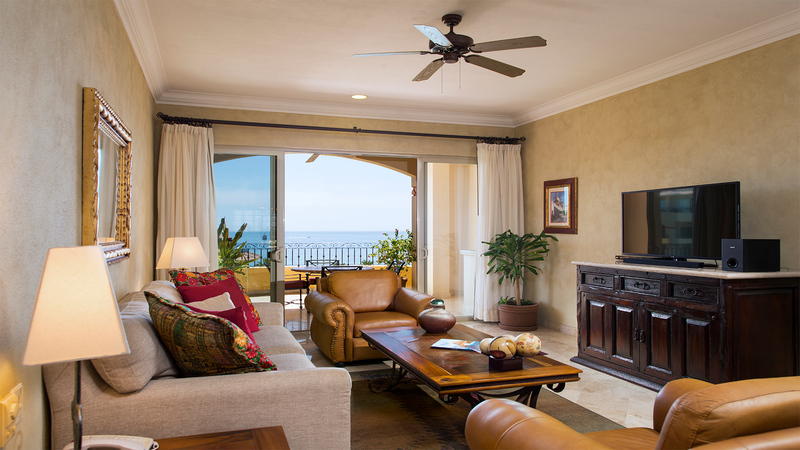 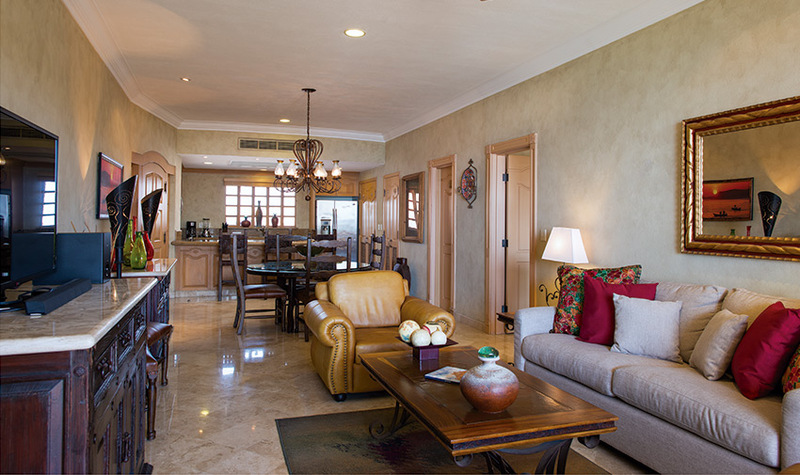 Upgrade your vacation when you choose a Unique One Bedroom Suite Ocean View at Villa La Estancia Los Cabos. 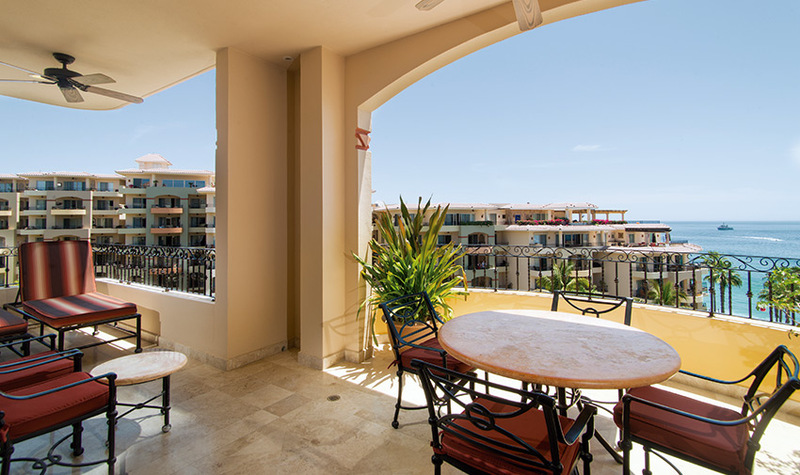 These exclusive accommodations provide the most incredible views of any luxury suite in Cabo San Lucas because they look out upon Land’s End, framing the iconic El Arco rock formation and the merging of the Sea of Cortez and the Pacific Ocean into one scenic view. 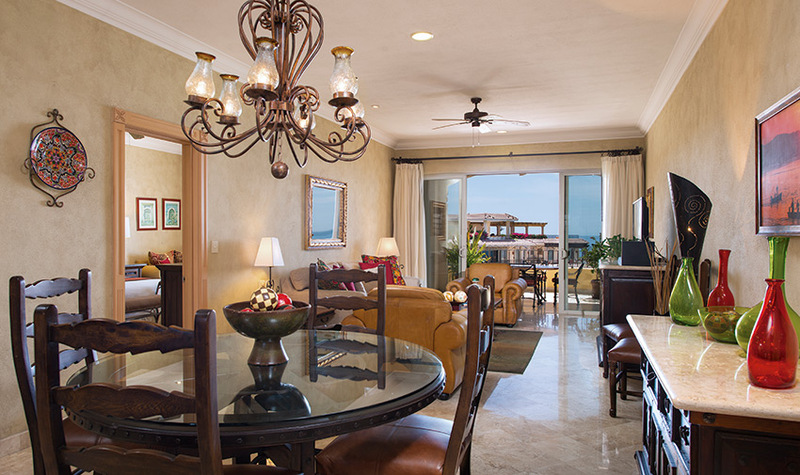 More than just an ordinary suite, the Unique One Bedroom Suite Ocean View comes with select amenities to enjoy during your stay. 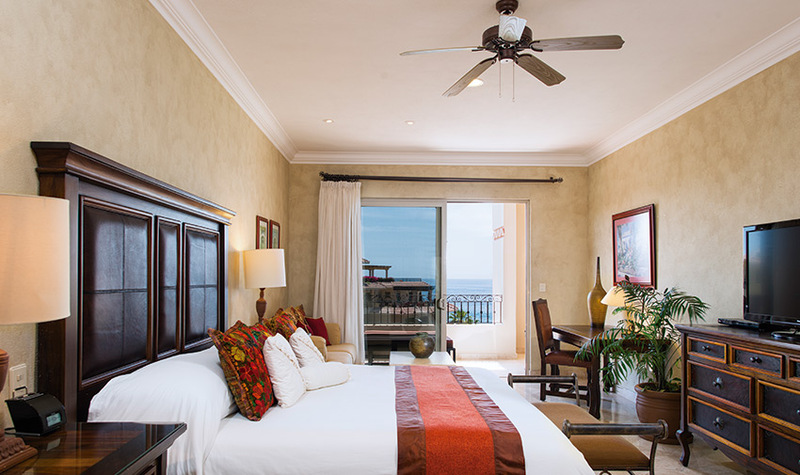 These rooms feature a master bedroom with a king-size bed and private spa bathroom, in addition to a fully-equipped kitchen, dining area for 8, washer/dryer, spacious living room with a pull-out sofa bed, an additional bathroom, and an expansive terrace with furniture. 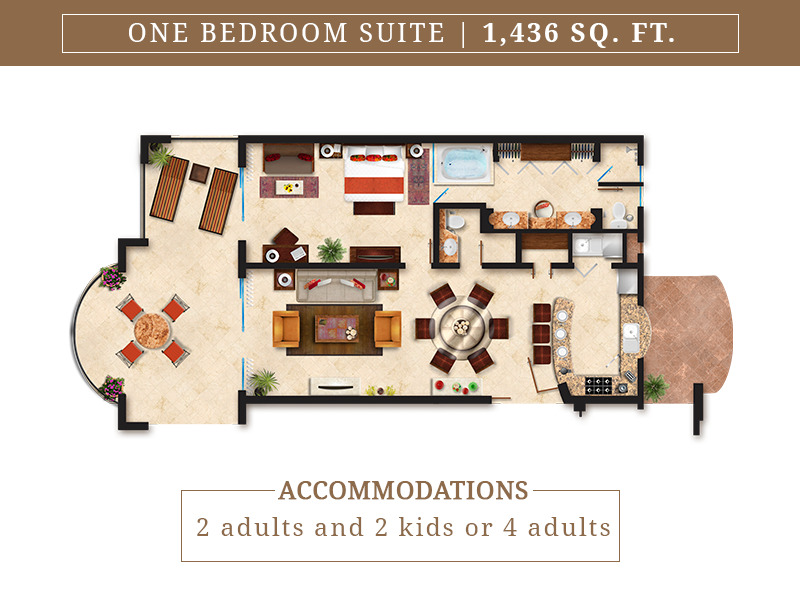 Use of Hydrotherapy Circuit, which includes a sauna, steam room, hot tub, and cold-plunge pool. 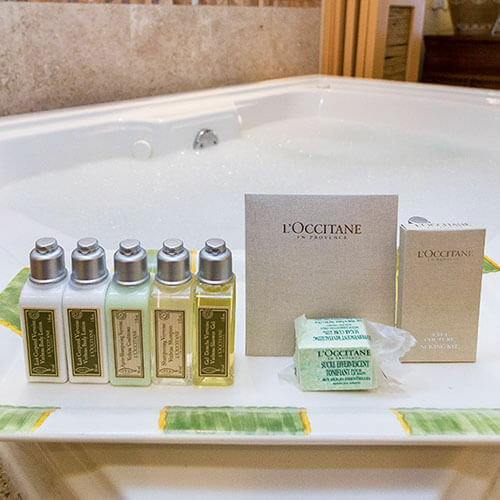 L’occitane bathroom amenities, bottle of wine, fruit basket, and use of bathrobes. 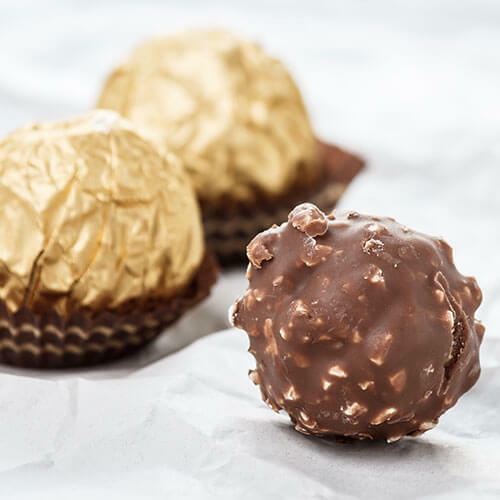 Nightly turndown service with Ferrero Rocher chocolates to sweeten your dreams.